The German Business School launches every year the Master of Business Administration Programme in a different country. 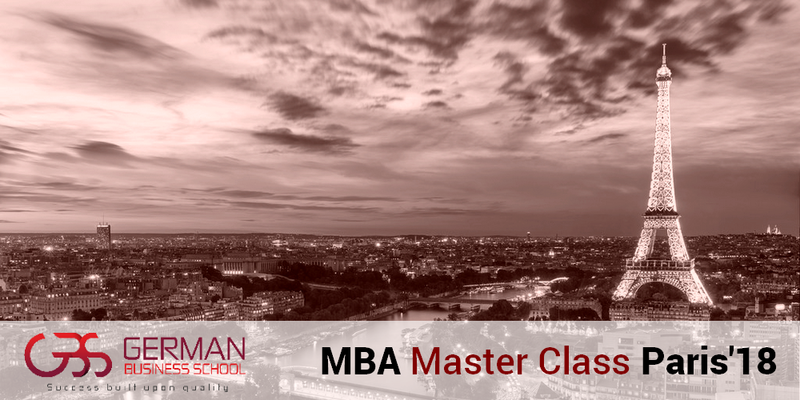 The MBA Class '18 starts in Paris, France with team-building activities, Human-Resource Management and Business Research Methodology courses at Goethe-Institut Paris. Founded in 1955, the German-French Chamber of Industry and Commerce offers support to companies in their international activities. SAP is a German software company for enterprises; managing business operations and customer relations. Goethe-Institut e.V. is the cultural institute of the Federal Republic of Germany. In France since 1957, Goethe-Institut promotes the French-German friendship.